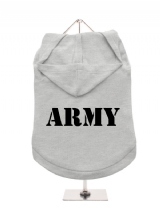 Urban Pup has a huge range of dog clothes to make sure your pup is the best looking dog in town, and our comprehensive range of dog hoodies and t-shirts is no exception. Whether you're looking for comfort or style, we have everything that you might need. With a huge selection of slogans, logos and images, we have everything you could possibly imagine, whether you want your pup to be prince charming, the queen bee or to deliver the big question in style. 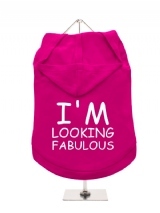 If your dog never fails to make you laugh, why not play up its humour with one of our funny slogan t-shirts or hoodies. If your dog is your superhero, we can cater for that too. Or if you want your pup to simply tell everyone how much they love you, our “I heart Mum” t-shirts could be the right pick. 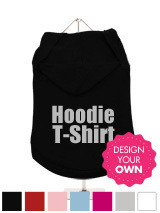 If none of these options suit your pup's taste, then you can always design your own hoodies and t-shirts. 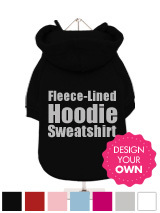 With a comfortable hood and fleece-lined material, the hoodies we stock are both safe and fashionable. All of our dog clothes are chosen by the top designers in the dog fashion world. 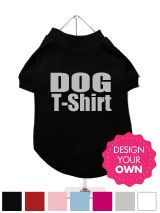 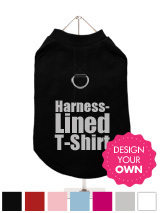 Our t-shirts and hoodies are tailor-made to fit any size of dog and can be completely customised to your specification. With a huge variety of hoodies and t-shirts at your disposal, all with a slogan, image or text of your choice, Urban Pup should be your first stop for all of your dog fashion requirements. 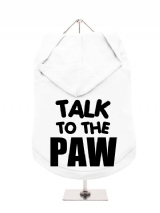 If you have any questions about our hoodies and t-shirts, or any other general enquiries, don't hesitate to get in contact with our team today.